Discussion in 'Server Announcements' started by Tatorminator88, Apr 12, 2019. Spring is in the air, and what better way to reel it in than to shower everyone with a weekend full of fun & Loot! You won't be able to resist what Mother Nature has in store. 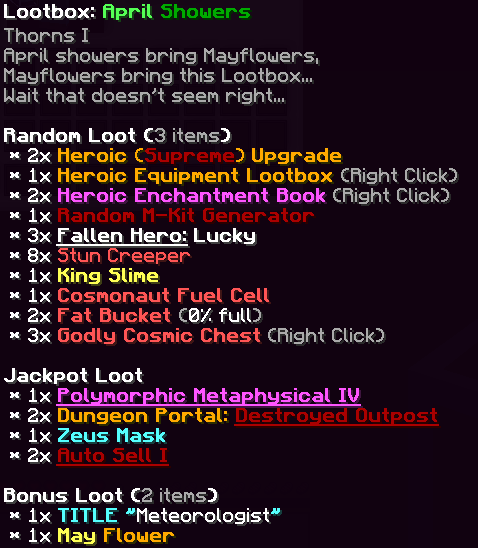 Get your hands on this Nature packed lootbox which includes the chance for a New Enchant and a New Mask! Keep in mind that some of the items may only ever be obtained in that weeks Lootbox! Once the weekend is over, the Lootbox, and its treasures, are gone FOREVER! Do you dare try to harness the powers from this Lootbox? If you succeed, you will surely be hard to stop! Keep in mind that some of the items may only ever be obtained in that weeks Lootbox! Once the weekend is over, the Lootbox, and its treasures, are gone FOREVER! Now giving you the ability to truly harness the powers of a God! 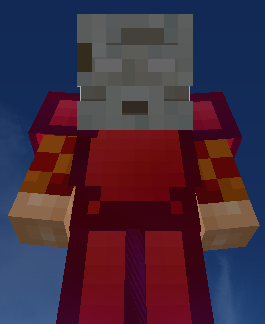 This mask will have your enemies trembling as you become immune to the power of Natures Wrath! 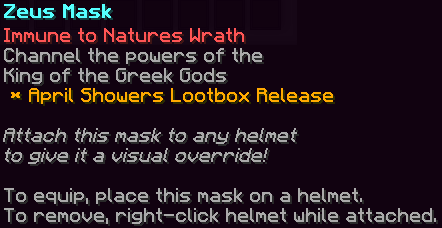 Currently this mask can only be available in this weeks Lootbox! 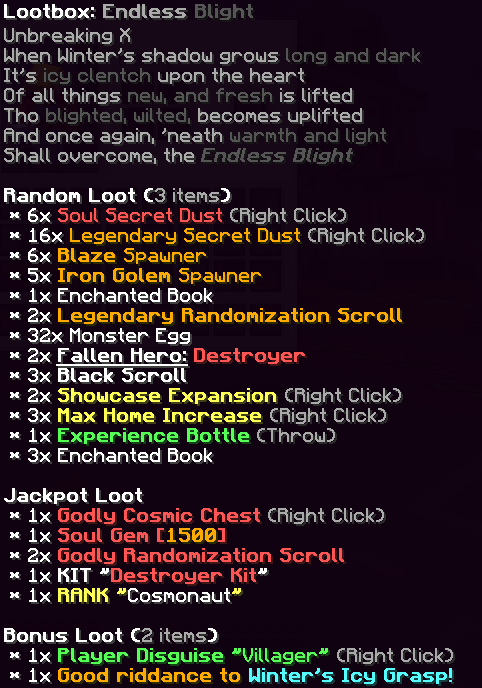 The newest Heroic enchant to grace the Cosmic stage! 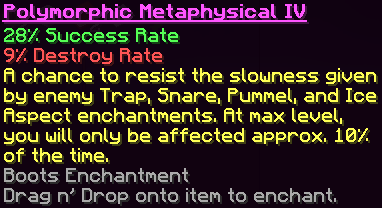 Polymorphic Metaphysical IV will keep your enemies from being able to slow you down! Get your allies ready to get on the attack with this new enchant! With all the excitement for the weekend to finally be back, we would like to shower you with a 30% Off Sale on all packages on the Server Store! Endless Bright isnt on the Store! It sure is. If you click the links in the post for that lootbox it will take you straight there.